Even before a full review of the new Off Roader (8297), I decided to go for a detailed look on the new TECHNIC parts coming with it. 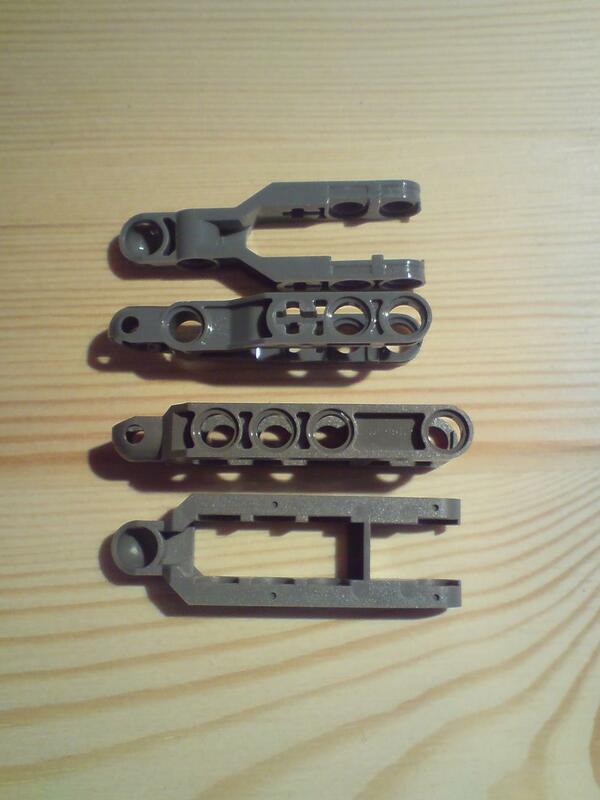 The first three, can also be acquired for spare with the new PF Motor Set (8293) which includes one Pole-Reverser one Lights set and two U-joints. 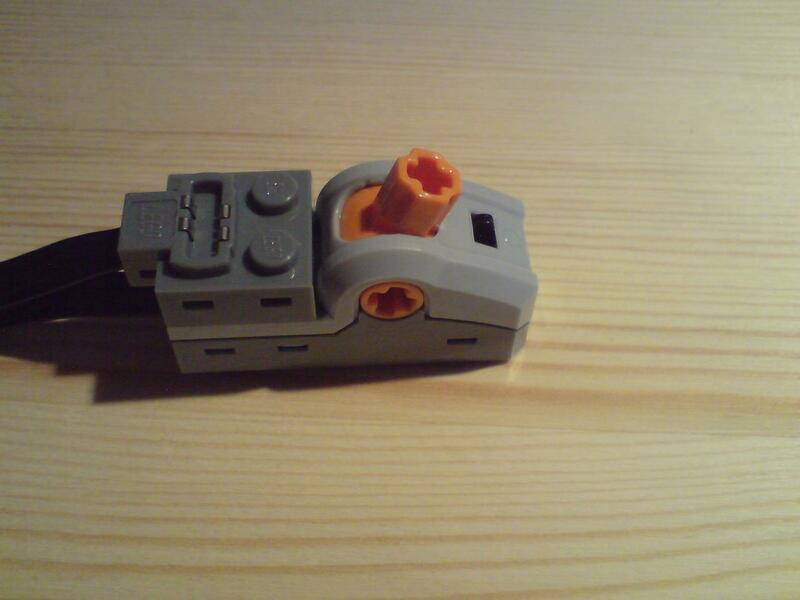 A fellow LEGO Ambassador (Didier Enjary, for FreeLUG) sent me some scan images from the new PF Pole-Reverser, inner details (images and comments below). Most of the remaining images in this post were also sent by another TBs reader from UK (Mike Hatton, Parax), despite being also available at his BS folder. This is the new PF generation of the former TECHNIC Pole-Reverser (6551). The switch reverses C1/C2 but, of course, not Ground/9V (read about on the PF RC Protocol specification, here). There is a neutral position (three cranks). You can miss the fact it is in a centered position (neutral) and then you may think the switch is out of order. One wire is now permanently attached. There is no center anymore able to rotate and inverting polarity continuously (driven by a motor for instance, if no handle is in use). This feature made possible some special arrangements in the past. Handle is now able to turn about 15º maximum, in each direction. The PF lights constitute a great addition to the TECHNIC sets and will certainly find a wide range of applications. Each cable includes two lights and assumes an 'Y' configuration. At one end there is a PF connector (top and bottom) and at the other other side, two ends with one LED each. The LEDs seem to be about medium brightness, so hopefully they shouldn't "eat" too much power from the battery. 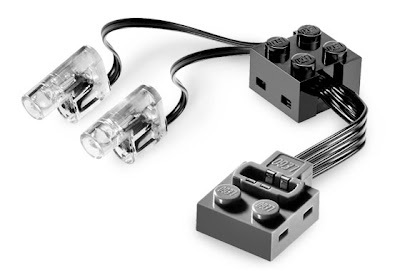 The LEDs form factor is also such that they fit into any TECHNIC pin hole, like those in the TECHNIC bricks and beams (thinner or thicker), any brick tube and the bottom of any 1x1 round plate for instance (however a bit loose in these last two cases). 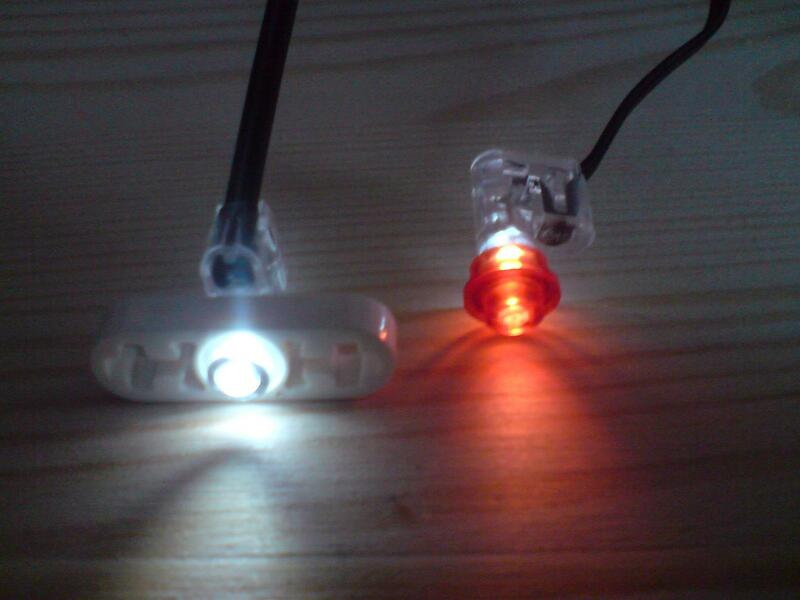 In conjugation with any colored transclear part, these LEDs can produce a cool colored light effect. Each cable is 400mm length which comprises 245mm (LEDs to middle brick), plus 155mm (middle brick to PF connector). The new U-joint is a shorter version from the previous ones, which appears with several of the new 2008 TECHNIC sets (2x in 8293, 2x in 8294, 4x in 8297). Below a photo with the three generations of U-joints, LEGO ever made. I've already commented about the new U-joint at the Excavator (8294) review, anyway I'll copy it here too. "...the new U-joints (3rd generation), whose main characteristic is the fact they got a shorter length. 3L instead of the 4L in the former version (already 31 years old). This shorter version will allow to use them, where it was impossible to do before and is of special interest to route the driving axles into the new LAs. One of the main concerns about this new U-joints was their potential fragility, which was already the main problem from the former version, as they are know to easily break under high torque conditions. Hopefully TLG may have improved this fact as they look a bit brighter than usual, which may suggest a different kind of ABS being now used also for this part. I can't be sure, so we will see once the users reports will start to come." With the new Off Roader, there comes also one differential with a new design. 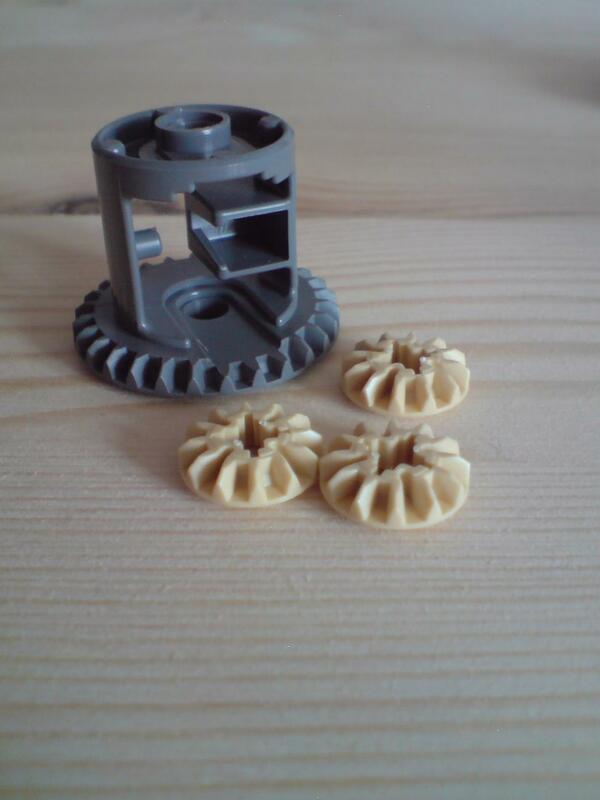 This new design is also the 3rd generation of the LEGO TECHNIC differentials, as illustrated below. and on the left the new design (2008). Again the new differential is smaller than its predecessor (3L wide in opposition the former 4L version), however it uses inside the same 12 teeth bevel gears as before (only the 1st generation used different ones). Instead, it got a 28 teeth bevel without clutch. 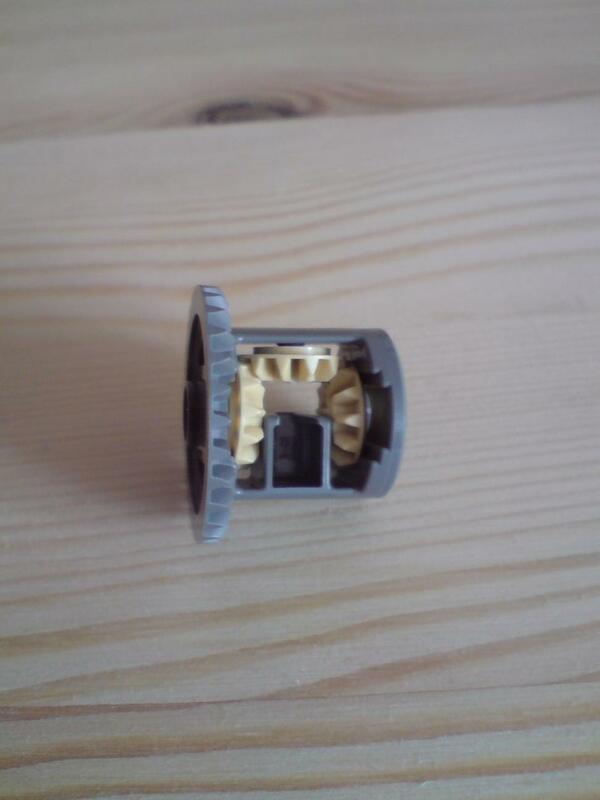 The other extreme got no gear but its design with four inner tabs, suggests there is still an hope for a future clutch mechanism, despite it is incompatible with actual Driving Ring and Driving Ring Extension. Lets see if LEGO designers have new Driving Ring on the way for the future, to address this issue. 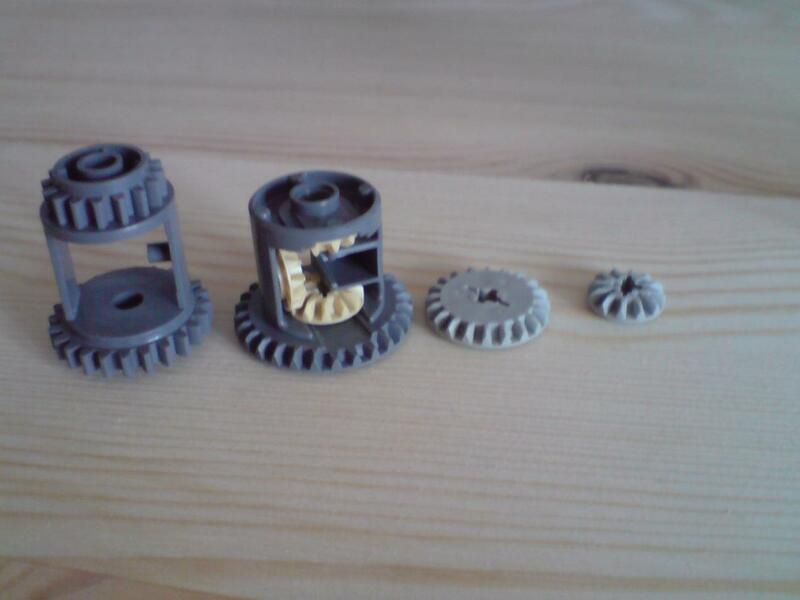 The differential 28 teeth gear, has a few shorter teeth (easily seen at the 2nd image above) because of a mystery slot... the wider (shallow) slot is for the present bevel gears but the deeper narrow slot is for something else... (it is too narrow for a linkarm). 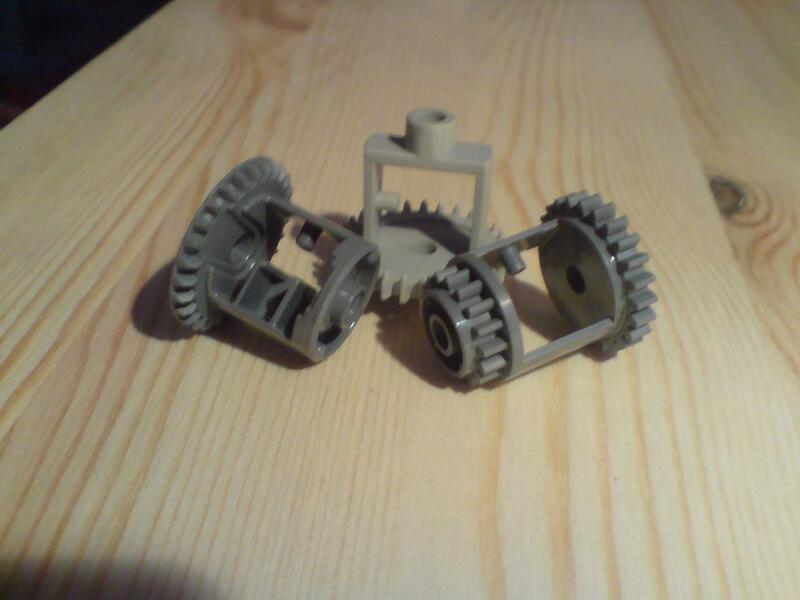 Because of the slot, the bevel gears only go in from one side and don't drop through! As bevels tend to slip quite easily, the shorter teeth can make this even worse... Lets wait and see what other users will report about this new part. It only interfaces it other bevel gears, which forces transmission to be perpendicular. Can't be used with a chain. Can't be used with standard or worm gears. As AVCampos wrote in a comment to another post, lets hope "this new differential won't completely replace its predecessor, but rather supplement it where size matters". 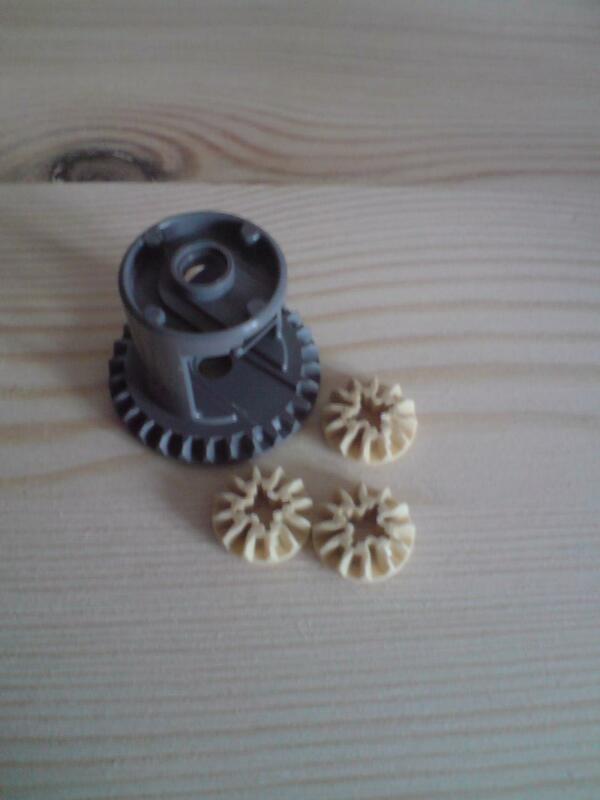 This new differential easily meshes with a 20 teeth double bevel, as in the present Off Roader design. In the central part of the differential, we can see a block that prevents internal bevel gears from bending, which used to make them slip and lead to breaking gears. And at last there are also new and smaller compact steering arms (towball couplings). 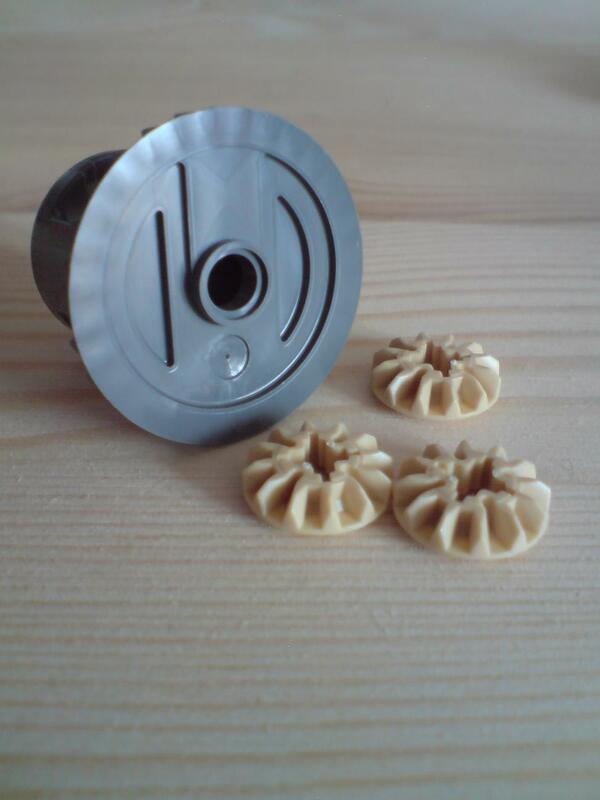 TECHNIC designers have used several versions of similar parts in the past, to design many vehicles steerings and suspensions, whose details have evolved along the time. 1L shorter ('5.5 x 2' against previous '6.5 x 2'), which is in concordance with also shortened U-joints. A mix of pin-hole and axle-hole on the sides, for greater flexibility and in accordance with new design practices like in the Linear Actuators bracket design. 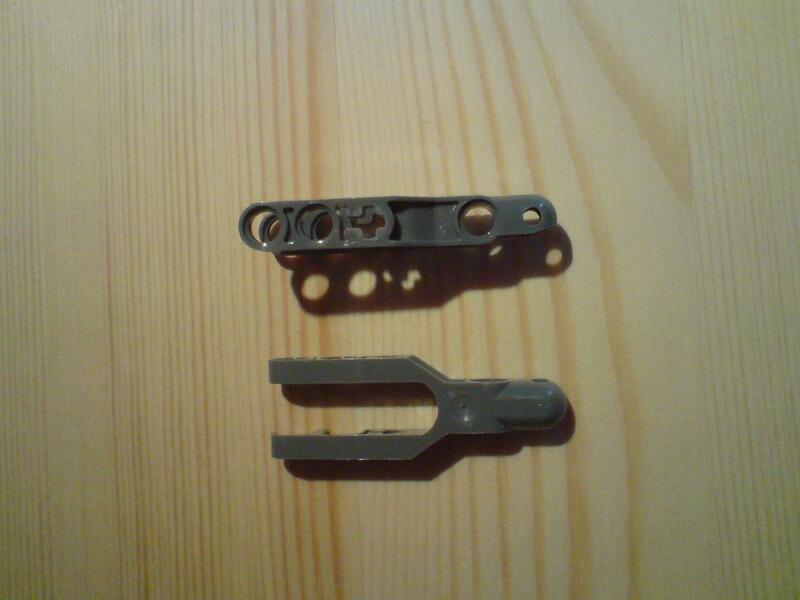 The new part on the left and a comparative with an older one, on the right. Can't wait for the full review and the building myself! That explains the size. Good finding! That Explains a lot! the LEDs are not 9V! and do work in both directions. Wonder if anyone can fit a timer in that brick for flashing or consant lights. Changing the LEDs, would be easier but won't look so nice, as you need to cut actual ones and loose their "casing". However there are probably some from those indicated by Philo, which match the TECHNIC hole diameter!? Still you get the not so nice looking from the thermo retractile sleeve to cover the wires and soldering..
From what I can see in the pictures, the new LED pieces are a lost opportunity for LEGO: the 2x2 block reminds me immediately of the "old" 9V wires, with a 2x2 brick at each end to connect to other 9V parts. 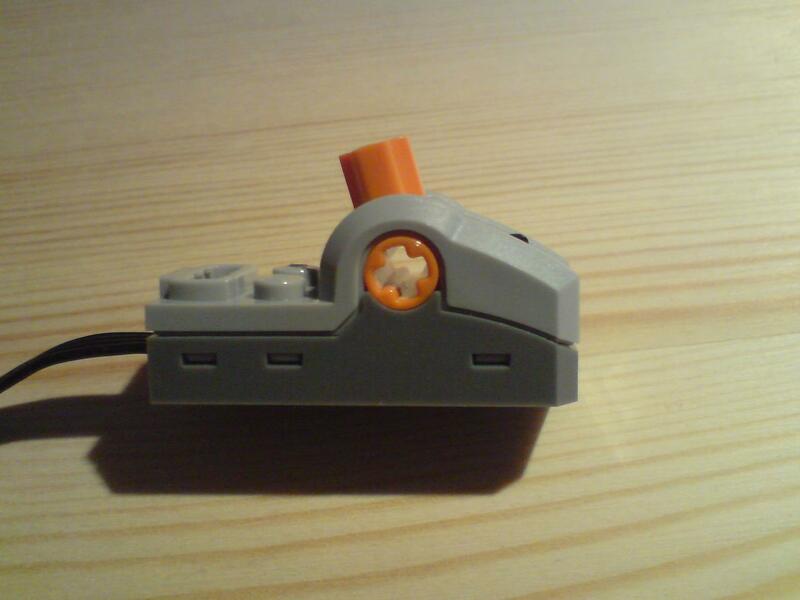 So, I guess it wouldn't be that much hard for LEGO to put 9V contacts in that block: that way, the LED piece could act as a 8886 Power Functions Extension Wire, or be supplied both from PF sources and 9V sources. Also, I wonder if the LEDs can be "extended" with Exo-Force optical fibres... theoretically, all that would be needed would be a 1x1 round brick joining the LED and the fibre. Or one could replace the fibre with a flame piece to illuminate a City layout (I tried this with standard 9V bulbs, but they were too weak). As for the differential, indeed I didn't notice that smaller inner gear slot until I read the post (but I guess I can be excused: I don't have the part myself)! That and the central block, which presently don't appear to have any function, shall be an interesting source of speculation over at least a few months. 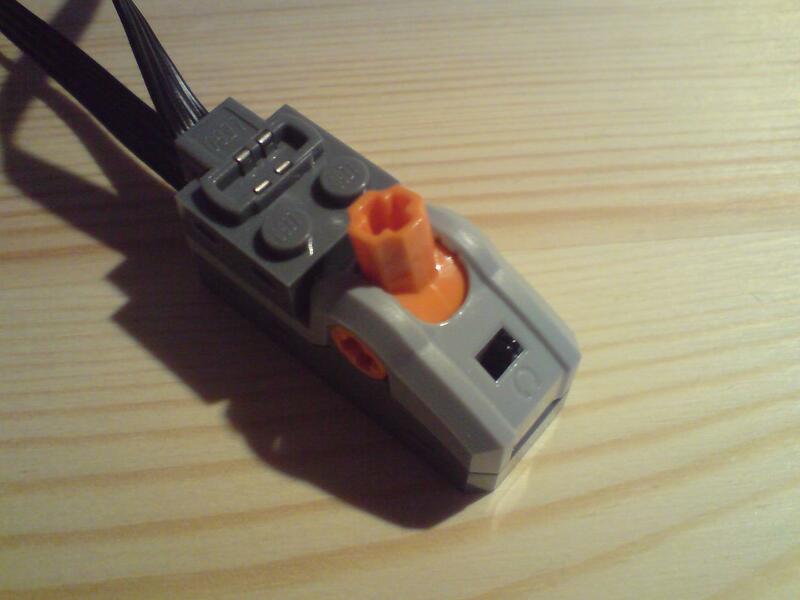 What I don't understand is why didn't LEGO design the new pole reverser like the old model, with an axlehole for an optional handle: like Conchas wrote, this impossibility of 360º rotation is a big limitation. Finally, regarding U-joints' strength, I think the most obvious way to improve it would be to increase the central pins' thickness. 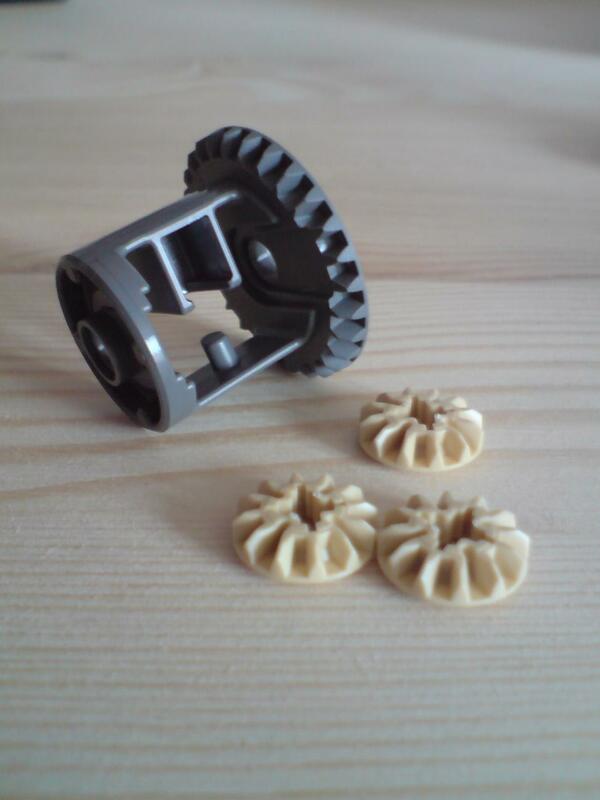 But that would require also a thicker axle, which would make LEGO piece compatibility very difficult. So, I won't be surprised if LEGO indeed makes the new joint in a different, harder plastic. I'm buying the Off Roader pretty soon and I'll have a review posted on my website (http://tubtech.ning.com) soon after that. I will also post detailed pictures of the mechanisms as well as pictures of a modified version (aka IR control, drive (possibly 4WD), and motorized steering added).